All Rates are subject to change, until reservations are confirmed. Holiday & event rates will be higher. The pool is heated very warm to 88 degrees ($360/week optional) Sorry, NO WEDDINGS or RECEPTIONS. Must be a minimum of 26 years old to rent. I reserve the right to refuse rental to anyone. Family rentals are preferred. 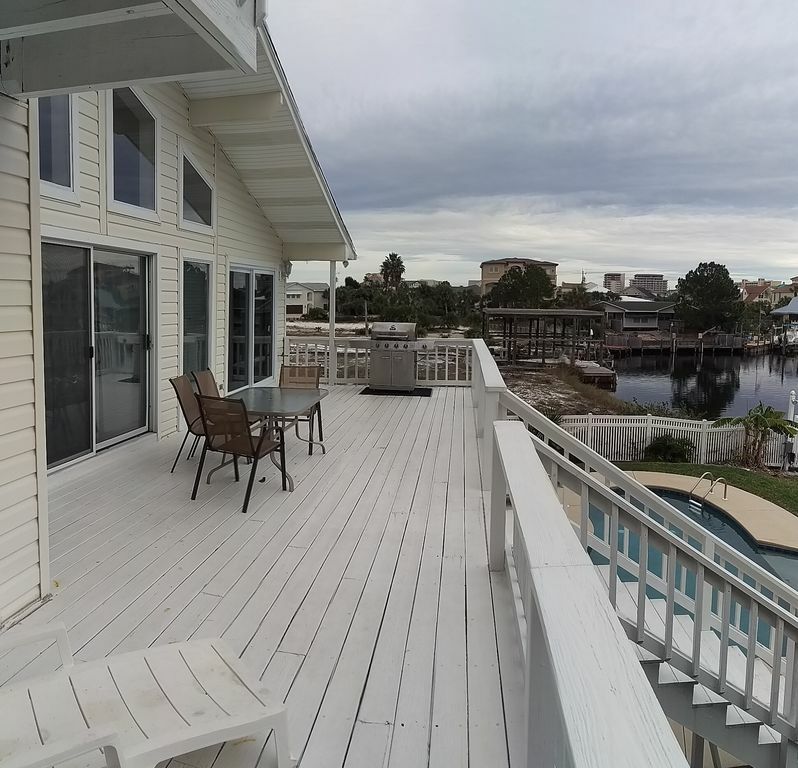 This beautiful, waterfront vacation home features a private heated pool, private boat dock, and is located just two half blocks (approx 1350') from the Private Gated Boardwalk and the Beach, on prestigious Holiday Isle. 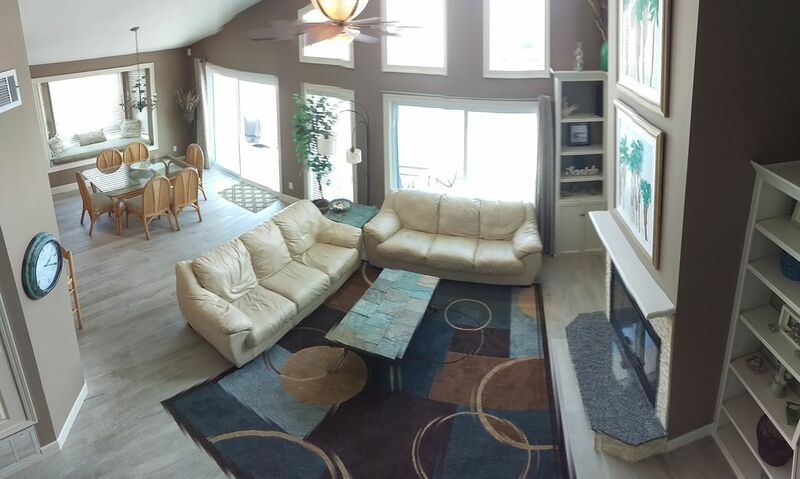 It has over 3800 square feet of living area, with 2 King Suites, 4 additional bedrooms, 4 full bathrooms, and a large game room. 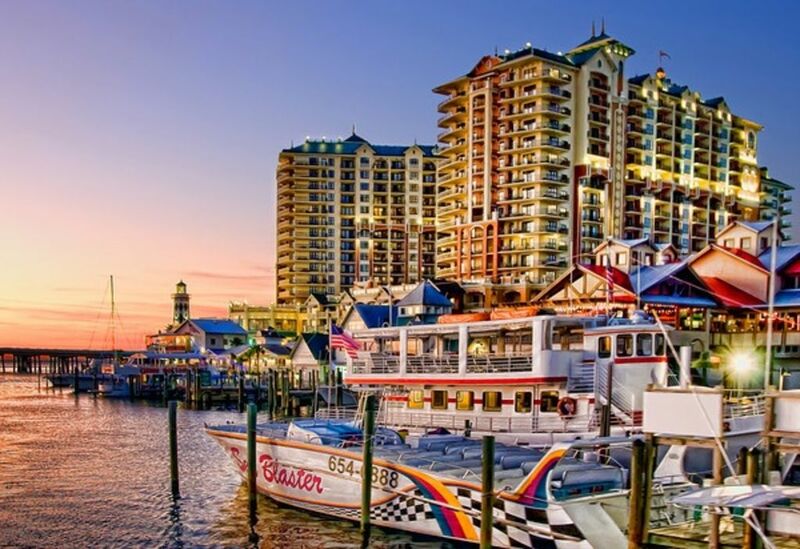 The home is located on the water, at the first canal off Destin Harbor. 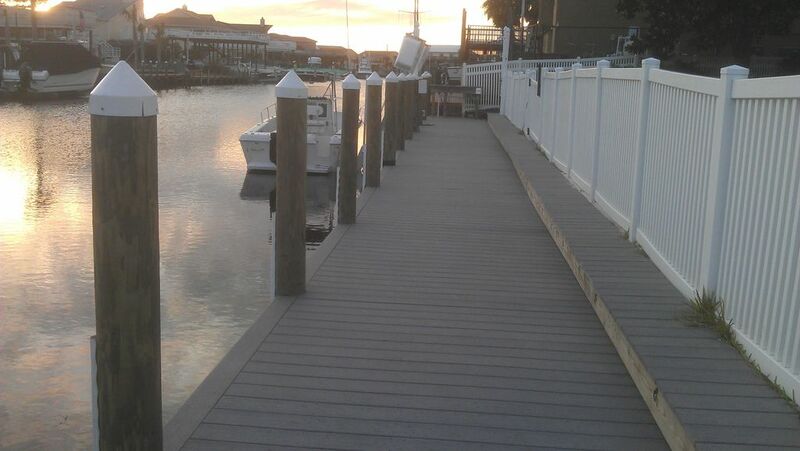 There is a new 8' wide x 90' long composite dock for your boats and fishing. It is all illuminated at night with Blue LED lights and 12 spotlights to attract fish. There is a guest garage for your use with a beach wagon for bringing ice chests, etc to the beach. There are matching his and her bicycles in the garage for guest use. The home is NON-SMOKING with a NO PET policy for all guests to enjoy! 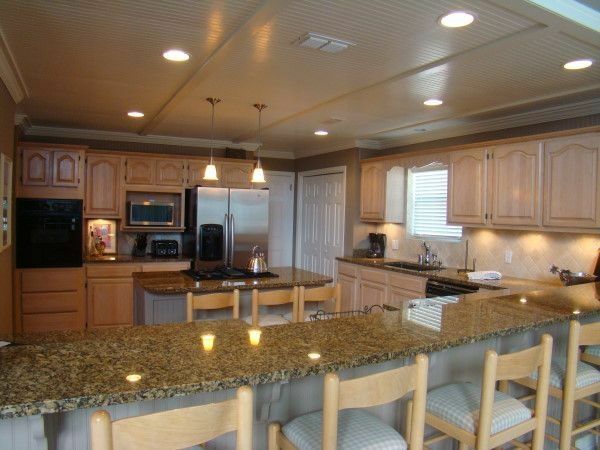 The designer granite kitchen and dining areas have great entertaining qualities and plenty of seating. 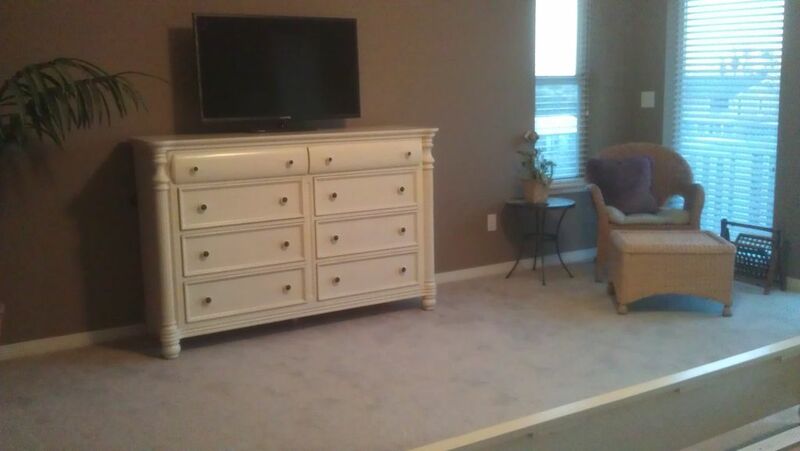 The den features a Big Screen television, Blu Ray, CD, and stereo system. 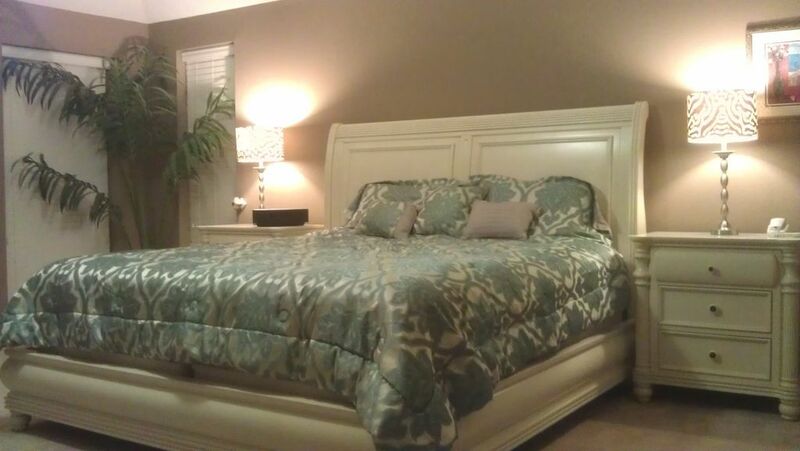 There are 2 new King Bed Master Suites and 4 Full Bathrooms. 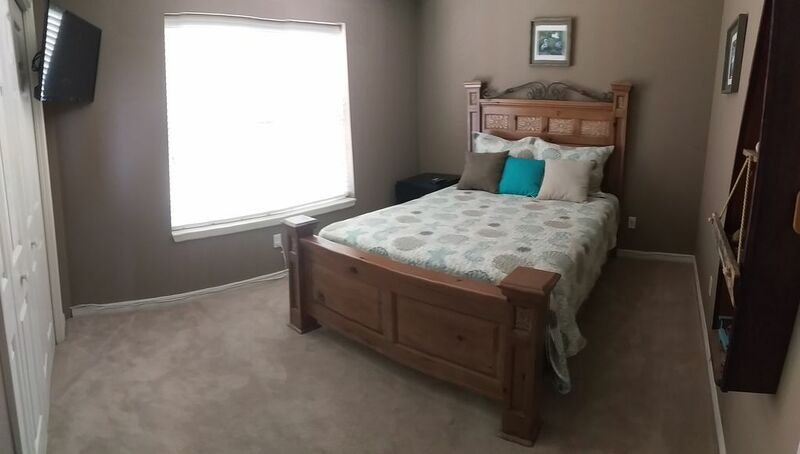 The home has a nice, open floor plan, which is great for friends and family, yet offers plenty of privacy in the bedrooms. In addition, the recreation room, on the pool level, has been finished with a large living area, flat screen tv, kitchenette, and table games. The first floor pool level includes a full bath and spacious private bedroom, with pyramid bunks accommodating up to six guests. There is a custom, king master suite on the third floor with its own balcony, his and hers dressing rooms, and double vanities. 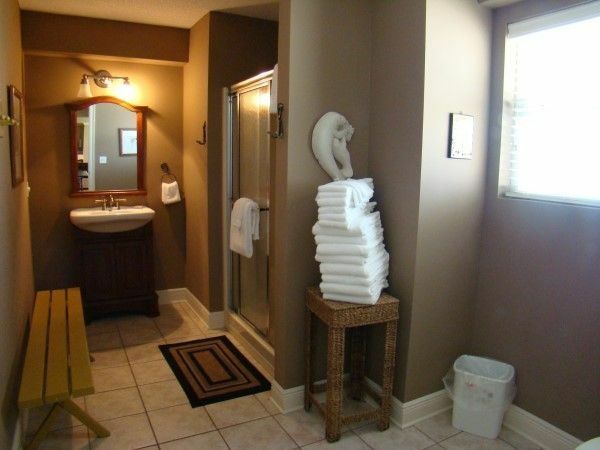 The bathroom suite features a large Jacuzzi Garden Tub and custom private shower with harbor views. It's a great romantic escape! The second floor master suite features another new King Bed and its own entrance to the massive rear deck overlooking the pool, dock, and water. 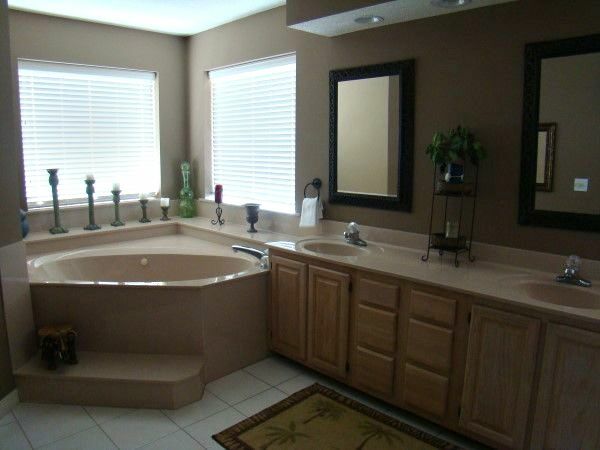 This bath has a separate vanity area with a walk-in closet and a shower revealing dual shower heads. 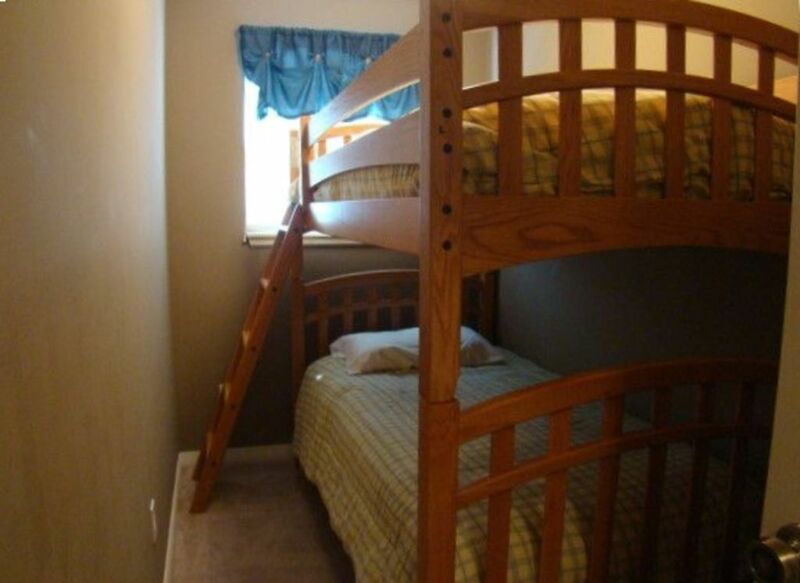 The other four bedrooms are as follows respectively:, 2 queen bedrooms, a small bunk bedroom, and a pool level bedroom with two full/twin pyramid beds. 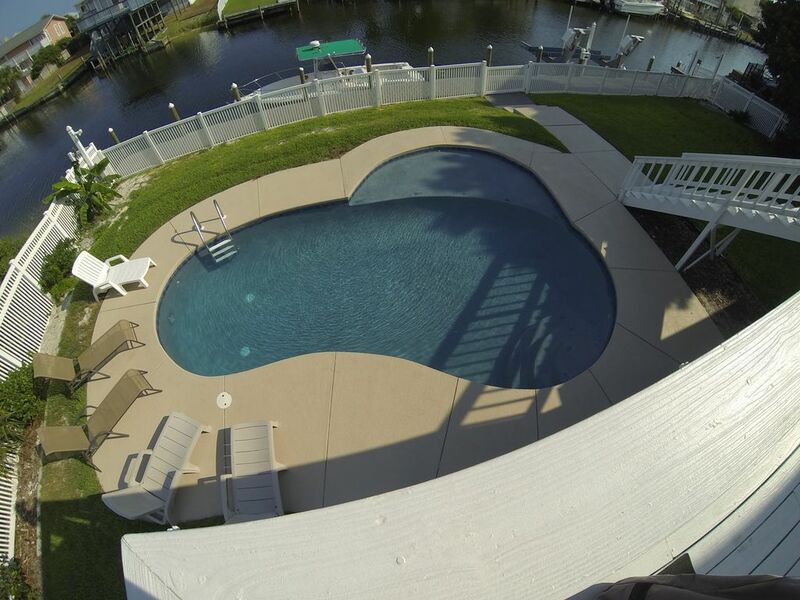 There is a spacious rear deck, spanning across the entire house, overlooking the pool, dock, and water. It's great for grilling and lounging after a busy day on the water or at the beach. All guests acknowledge swimming is at their own risk, as there is no lifeguard nor pool alarms. 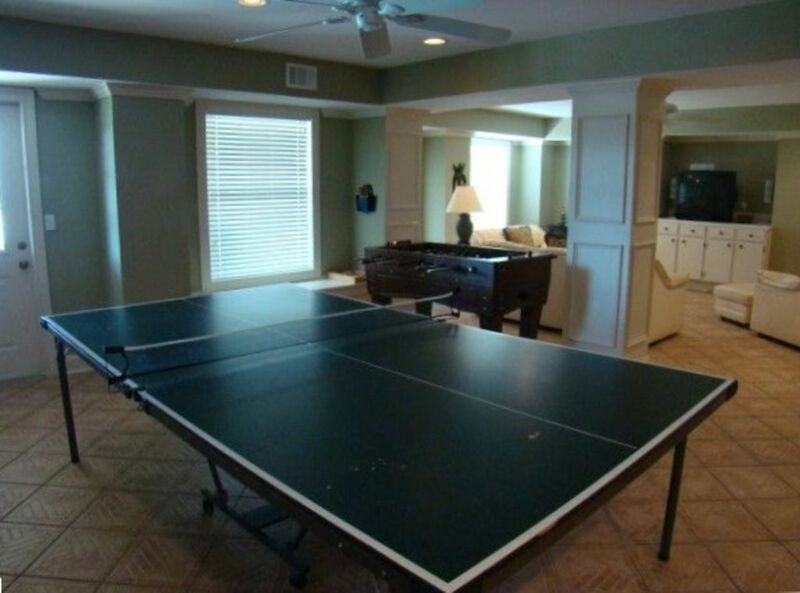 The first floor pool level/game room, is perfect for those just off the boat, out of the pool, or in from the beach. There is a living area complete with 40' flat screen television, stereo system, and table games including ping-pong, air hockey, and Foosball. BOATERS AND FISHERMEN: A fish cleaning area is set-up on the private 90 foot dock with running water, cleaning table, sink, and shore power. There are Blue LED glow lights under the wharf for a great night effect. There are also 12 automatic LED flood lights, underneath the wharf, to attract fish at night. It's great entertainment, in the evenings, for the kids. A minimum of $1,000 down payment is due, at the time of reservation. The damage deposit is $600 (fully refundable within 10 days of departure). 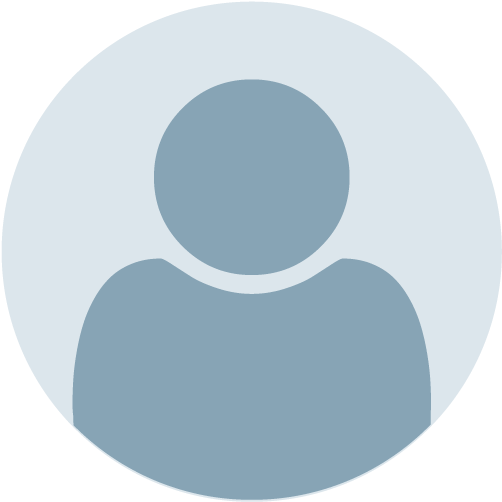 The balance of half of the rental fee is due 60 days prior to arrival, with any remaining balance due 30 days prior to arrival. 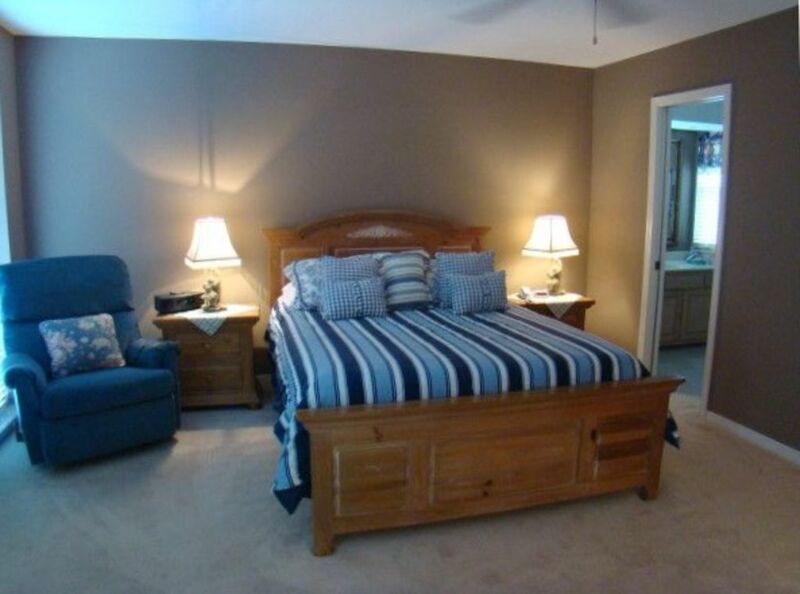 All guests are required to complete the owner's rental forms and return within 3 days of reserving the home. This property alarm is monitored 24 Hours per day and under video surveillance. Minimum Rental age 26, Families Preferred. Sorry, No Weddings or Receptions. 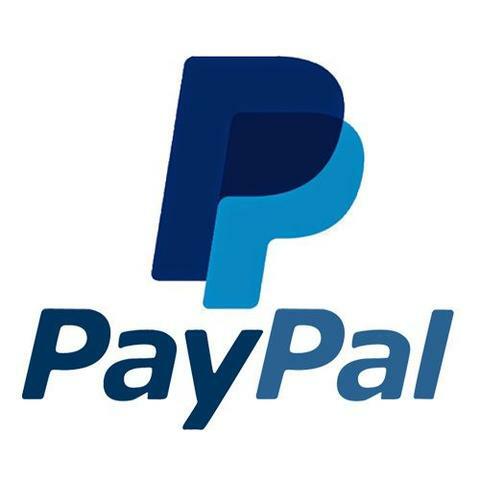 All Rates are subject to change, until receiving a confirmation booking. Holiday rates may be higher. 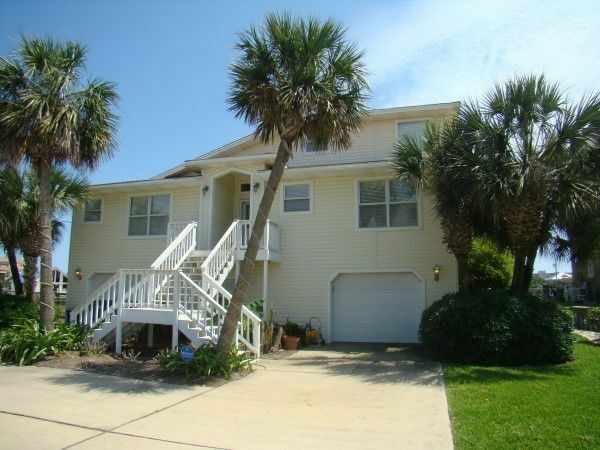 Private Gated Beach Access, shower, boardwalk located at the beginning of the street is 4-5 min walk. Bicycles and beach wagon are provided in the guest garage. OUR POOL IS HEATED VERY WARM TO 88 DEGREES ($340 Optional) Heat is usually not needed May thru October 15th. IMPORTANT--All guests are required to complete a rental application and pool/liability form. These forms must be received within 3 days of booking, or your reservation will be CANCELLED. Rental forms will be emailed direct to guest in Word Format. All guests shall be liable for any damages, to the property, that exceed the $600 damage deposit and all costs incurred while accommodating incoming guests. We had a wonderful time at the beach the weather was perfect and made lots of memories. The house is very big and roomy and my grandkids(4) had their own space. The adults (6) had our own bedroom and could have slept more people easily. 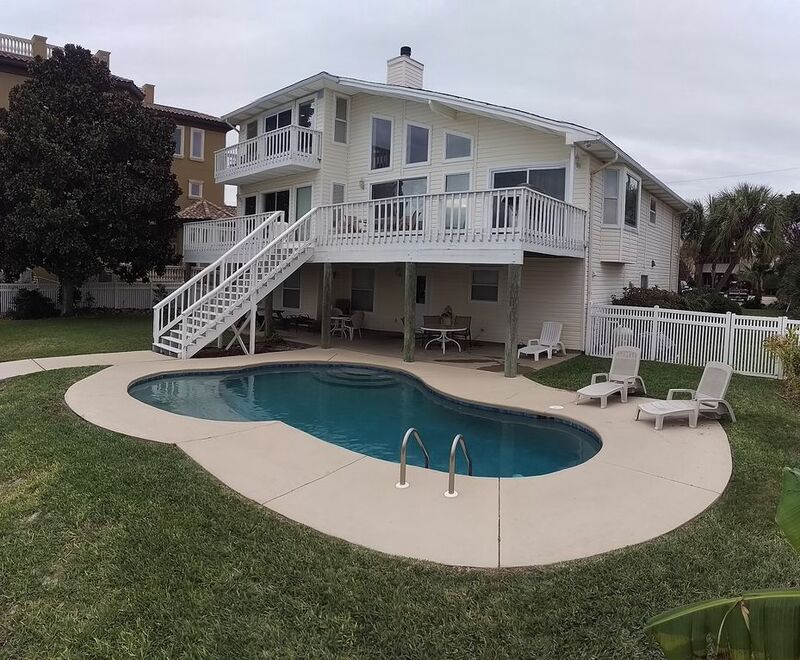 The house is well maintain and very clean, love the pool about a day at the beach. The canal that runs behind the house was nice for fishing and lights under the deck was neat for watching fish. Had everything you would want in a vacation getaway. Highly recommend this house !!!! The house was perfect for my family which came together from 8 different States (including Florida). There was plenty of space for all of us. The kitchen was pleasantly well stocked which allowed us to cook most of our meals. The pool was wonderful and the short walk to the beach was great. Being off the main drag of Destin was great and the morning walks to tour the neighborhoods of Holiday Isle were fun! We even rented a 6 seater golf cart to toodle around in. Our boat fit perfectly on the dock along with our large float we brought for Crab Island. 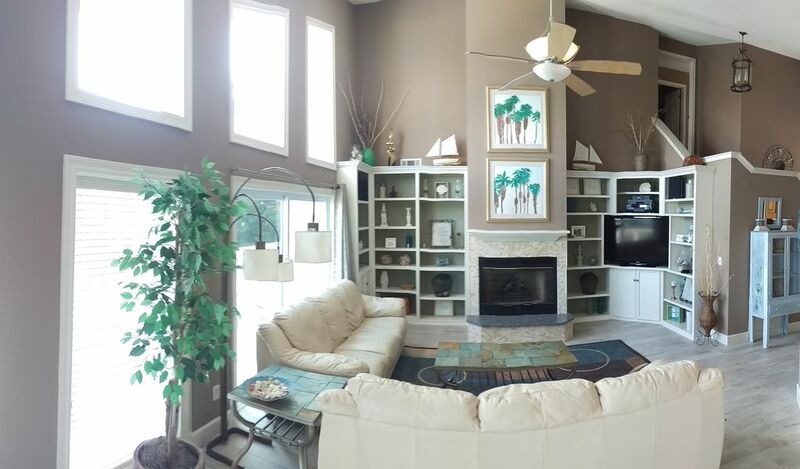 I would truly recommend this house to others looking at vacationing in Destin. We had 3 families staying here together and it was perfect. Great location. Clean home. Felt like our own place. We will be back. This was the second time for our families to stay in this house. We had a great time, made lots of great memories. 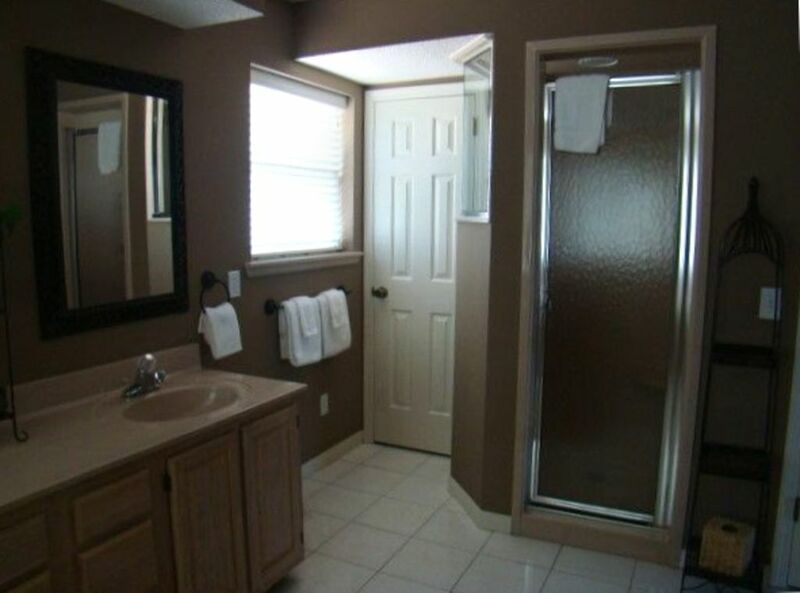 The house is just as nice as the pictures show. Having a pool to cool off sure made the afternoon heat more bearable. 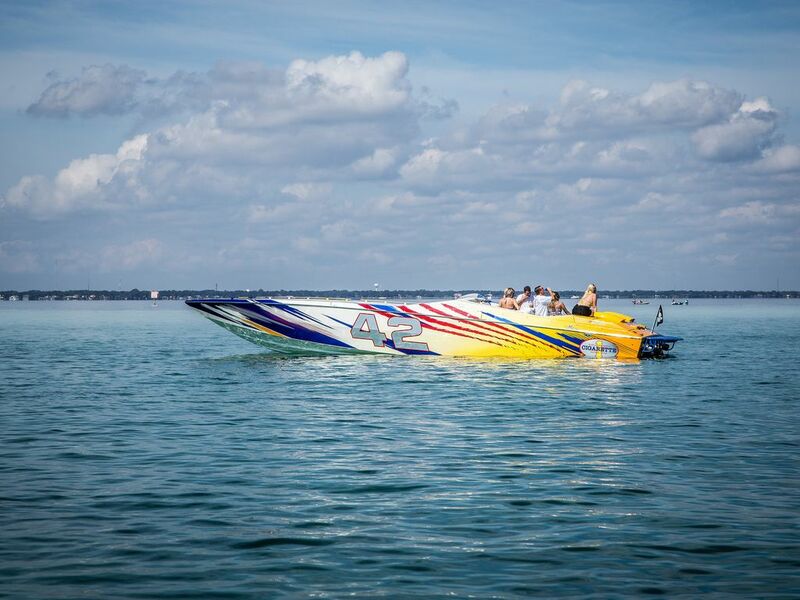 The location is great for trips to the beach and having a place to leave your boat in the water sure is nice. We look forward to our next trip. We took the first family vacation in many years, 4 generations and 11 people. The on-line pictures do not do justice to this amazing home. We expected a lot, but got much more. The backyard pool became the family gathering place. It was a short walk to the beach, but the kids spent more time in the pool than at the beach. The downstairs game and living area was absolutely perfect for the two teenage girls. Plenty of parking and a guest garage to store beach stuff and golf clubs. 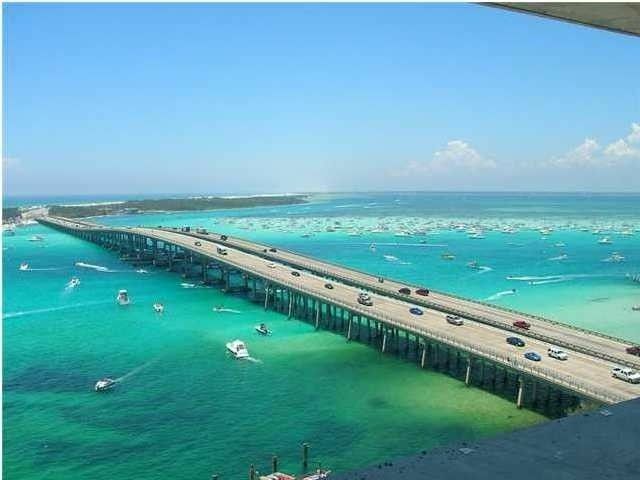 Could not ask for more and if we ever get the chance to go back to Destin, we will do everything in our power to stay in this great home again. We had an even better time on our second visit here! (We came for our 40th anniversary 5 years ago.) Thanks for the heads-up about the Thursday night HarborWalk festivities. The live music was great and were able to see the fireworks show from the table at A.J. 's Restaurant. 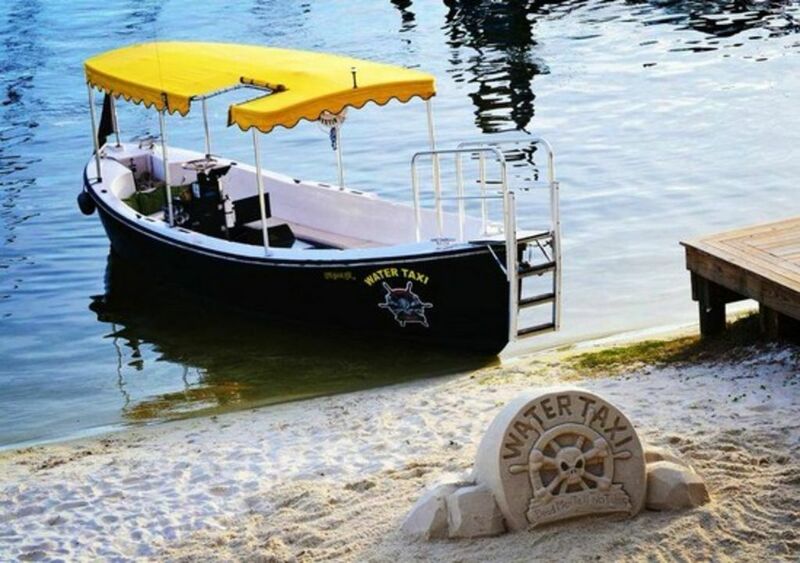 Taking the water taxi was a great option, since parking was at a premium there. We rented a pontoon boat to go out to Crab Island, and it was great to load and unload from the back dock. 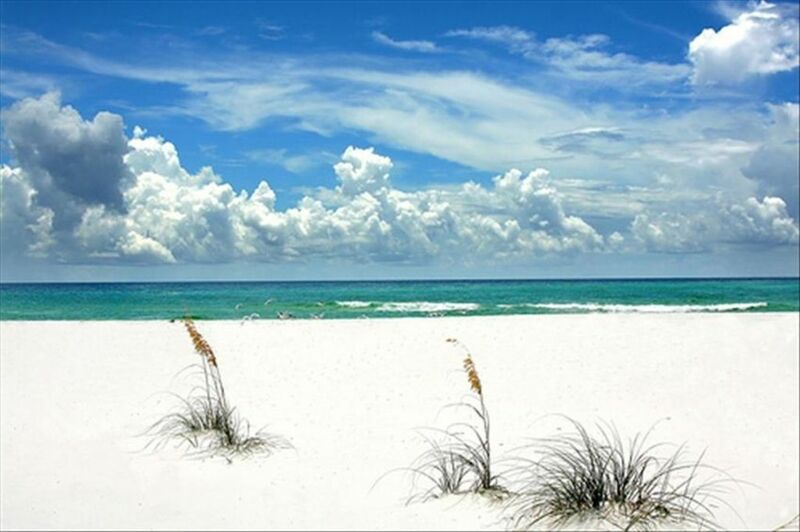 The Destin beach is always a plus - the sand and surf are so beautiful! All of the grandchildren loved the pool and the gameroom. We even celebrated the 2-yr. old's birthday - got some beach pictures and some in front of your lovely home. A tripod with a remote made it a lot easier this time. Cannot thank you enough for allowing us to all stay in the same place. Oh, and of course my husband took 2 fishing trips - 3 grandchildren on the Sweet Jody, along with 4 adults. It just seemed appropriate to see "Finding Dory" at the movie theater in Destin Commons, which is a very nice mall. 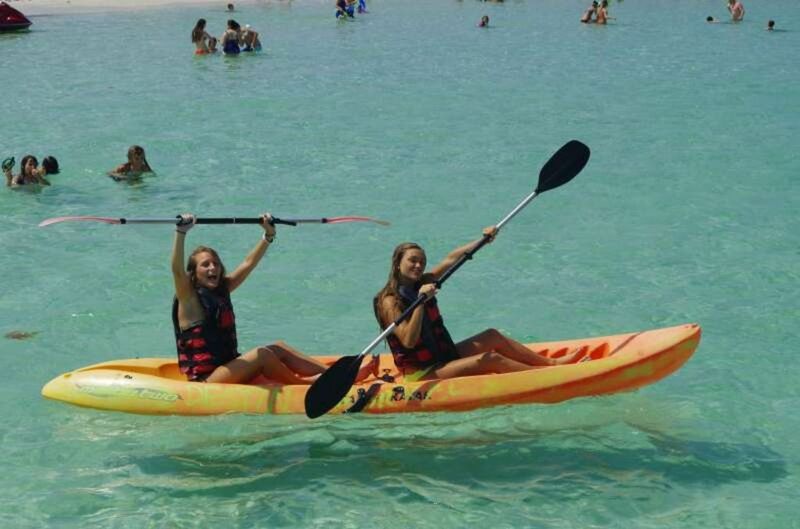 It really was a fun vacation! Many thanks!!! We had three families for a great birthday weekend and everything could not have been more perfect. A gorgeous house tucked away right in the middle of all the shopping and dining with all of the amenities you could think of. A gourmet kitchen with a huge deck to dine outdoors where we grilled most of our meals and the pool was heated for us all to enjoy. The kids claimed the entire first floor family room and declared we would not see them until Sunday! But the best part was walking through the neighborhood to the private beach entrance where we enjoyed the waves and searched for shells, put our feet in the water, and watched the sunset. Amazing. We are already checking our calendars for next year!!! We could not of chosen a better place to stay. Everything was absolutely incredible, from the to fully equipped kitchen, Pool , Dock to the clean and well maintained property ! 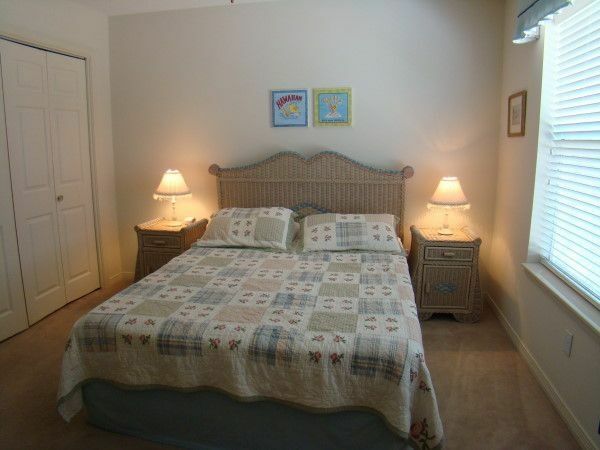 The house is decorated wonderfully, with all the Bedrooms very comfortable and nicely furnished! We had 3 families and everyone had such a incredible stay. The Pool was one of our favorites as we were able to enjoy in the evenings watching the Kids swim after Dinner! I brought my 24 ft. boat could not of worked out better at the Dock, with a nice Cleaning Station with power and water! We were able to access the Bay in minutes to go Fishing , Crab island and the Thursday Night Firework Show. Its location is perfect for all the good restaurants. Plenty of parking for the Vehicles. We've booked it again in 2018 and Cant wait to return! Memories were Made!! The Welch Family! Everything was perfect! Too bad hurricane Michael ran us out early. Hope to visit again! !